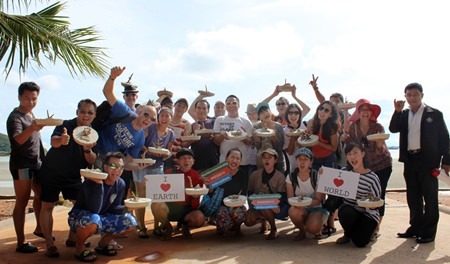 Hilton Pattaya’s general manager, Rudolf Troestler, together with over 20 Hilton Pattaya executives, joined a coral reef planting project to commemorate the 2014 World Environment Day June 5. 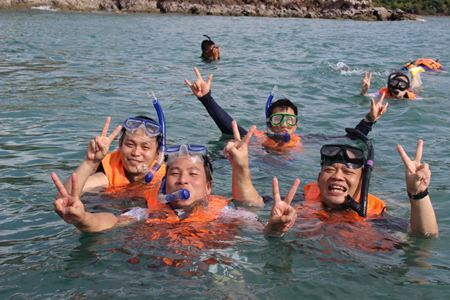 The event took place at Toei-Ngam Beach in Sattahip, illustrating the hotel’s environmental concern as well as demonstrating commitment to live sustainably and take action by caring for the environment. “Growing coral is one of many ways we take responsibility for our local area and the planet. 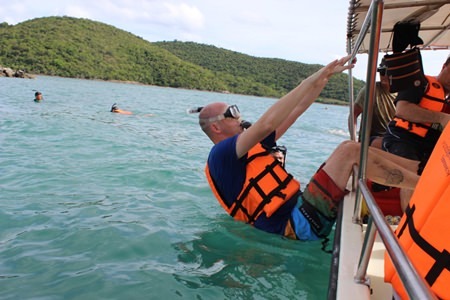 We started the first planting project in order to rehabilitate the marine ecosystem in Sattahip by planting young coral at the bottom of the ocean and we are delighted to take this kind of activity to support live coral, and a wide variety of plant and animal life,” said Rudolf Troestler. World Environment Day is the United Nations’ principal vehicle for encouraging worldwide awareness and action for the environment. Over the years it has grown to be a broad, global platform for public outreach that is widely celebrated by stakeholders in over 100 countries. It also serves as the ‘people’s day’ for doing something positive for the environment, galvanizing individual actions into a collective power that generates an exponential positive impact on the planet.